Want homemade cheesecake with less fuss? 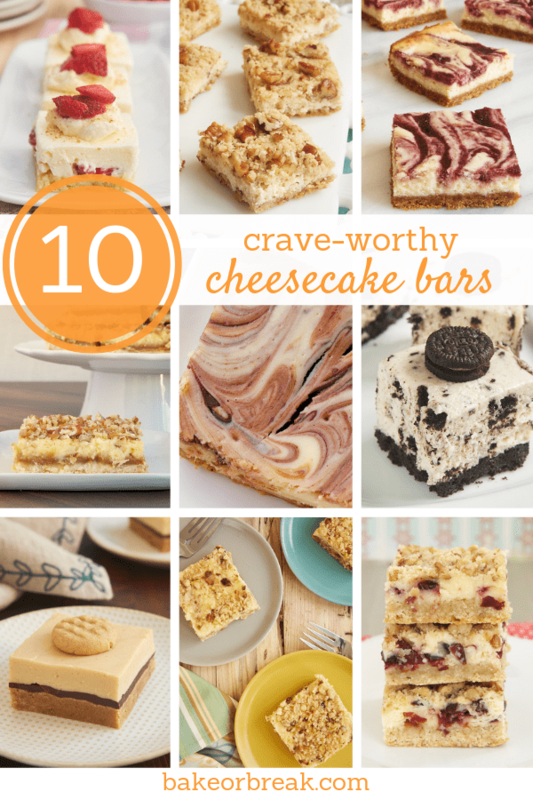 Cheesecake bars are the answer! 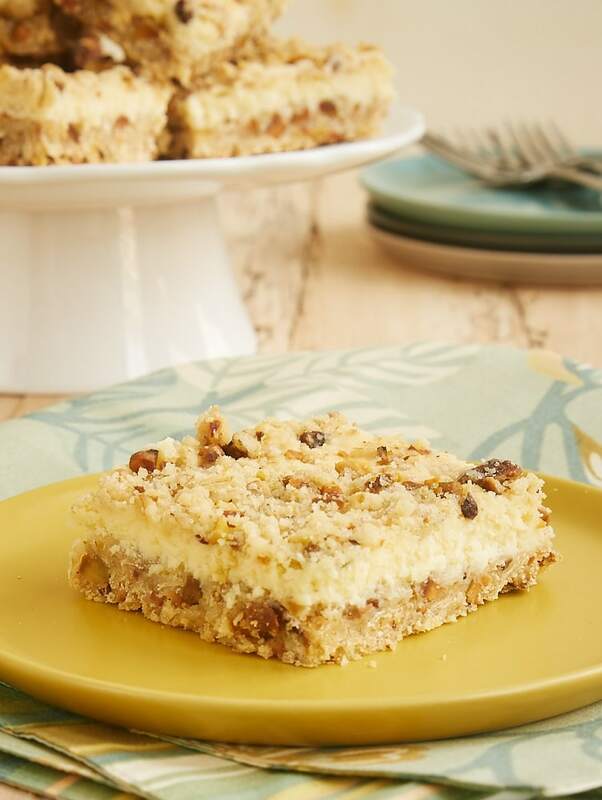 Cheesecake bars are a wonderful cheesecake compromise. You get all the great flavor of cheesecake without the fuss of making a big cheesecake. 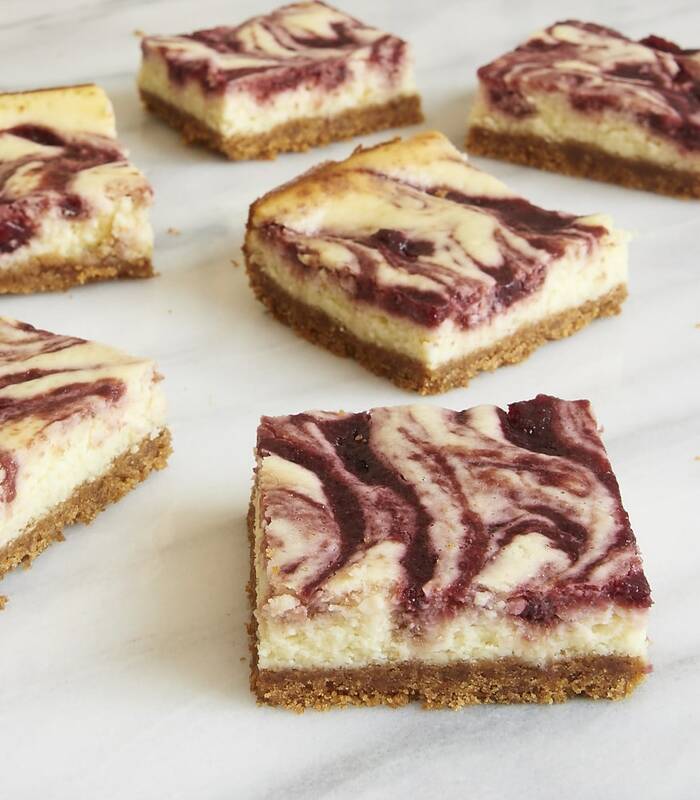 If you’re new to baking cheesecakes, cheesecake bars are the perfect place to start. If you’re an experienced baker, you’ll still appreciate them for their ease of preparation. Before we get to the recipes, let’s first talk a little about making cheesecake bars. I’ve made plenty of cheesecake bars over the years and learned a lot in doing so. These are some general tips that apply to most all cheesecake bars. 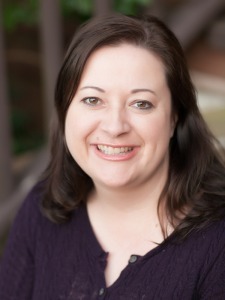 If there are tips for specific recipes I share, then you’ll find more tips with the recipes when you follow the links. Bring the cream cheese to room temperature so that it will mix better more thoroughly and easily. Lumpy cheesecake batter is almost always because the cream cheese was too cold. It should take about 30 minutes to get your cream cheese to the right temperature. Be cautious with substitutions. I always use regular cream cheese. 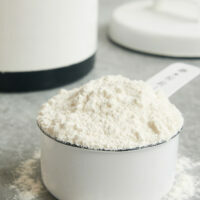 If you want to use low-fat or fat-free, then just know that you won’t get the same result in both flavor and texture. Measure accurately. That’s true with any baking recipe, so it’s always worth a reminder. 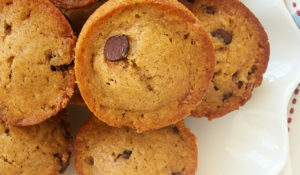 For baked fillings, “set” means no jiggle in the center. 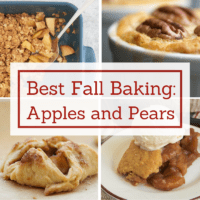 Pay attention to the directions to know if you’re baking until set or almost set. Sometimes you’ll do the pick test to check for doneness, but that’s not always reliable if there’s a swirl or other addition to the filling. Don’t over-mix the batter. This applies to both baked and no-bake fillings. Too much mixing for baked cheesecake bars will incorporate too much air, and your bars may rise too much and then crack as they deflate. 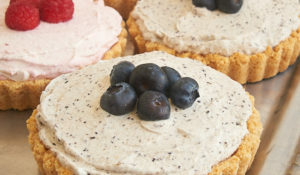 Too much for a no-bake filling and your whipped cream will deflate, making it difficult or even impossible for your filling to set. Chill the finished bars thoroughly before serving. The recipe will often tell you how long to chill them. If it’s not specified, I’d suggest at least 4 hours. Use a sharp knife for clean cuts. If necessary, wipe off the knife between cuts. Now that you’ve reviewed some basic tips, let’s move on to the recipes! These are some of BoB’s best and most popular cheesecake bars. You’ll find a variety of flavors here. 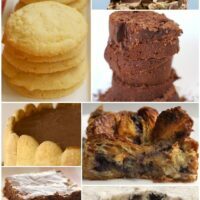 And you’ll also find both baked and no-bake recipes for plenty of variety. I hope you’ll be inspired to make something delicious! 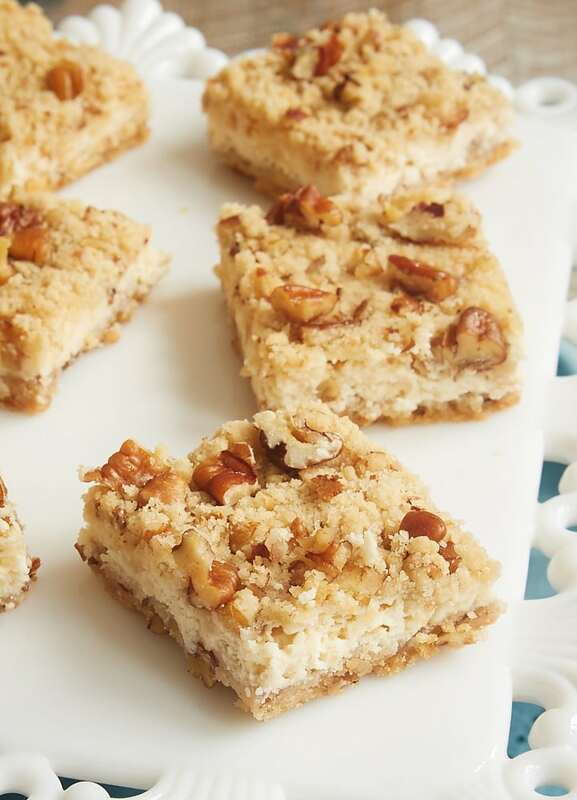 These Pecan Cheesecake Bars are about as easy as cheesecake bars get. 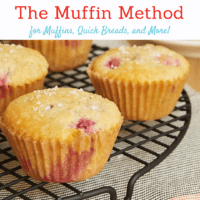 With a short list of ingredients and a quick prep time, this is a great recipe to have in your baking repertoire. Cherry-topped cheesecake is a classic, and these Cherry Cheesecake Bars are my ode to that wonderful dessert. And there is no canned cherry pie filling here! 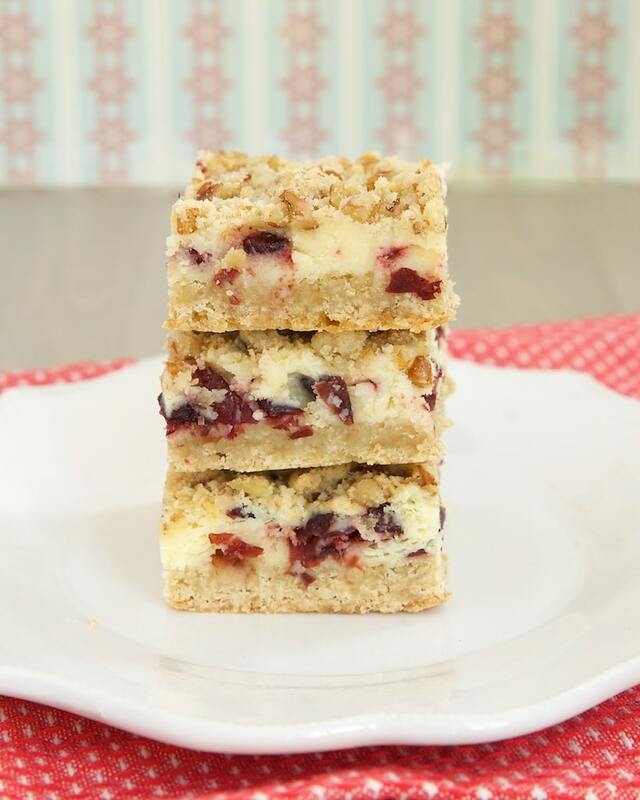 Fresh cherries are in order for these delightful bars. 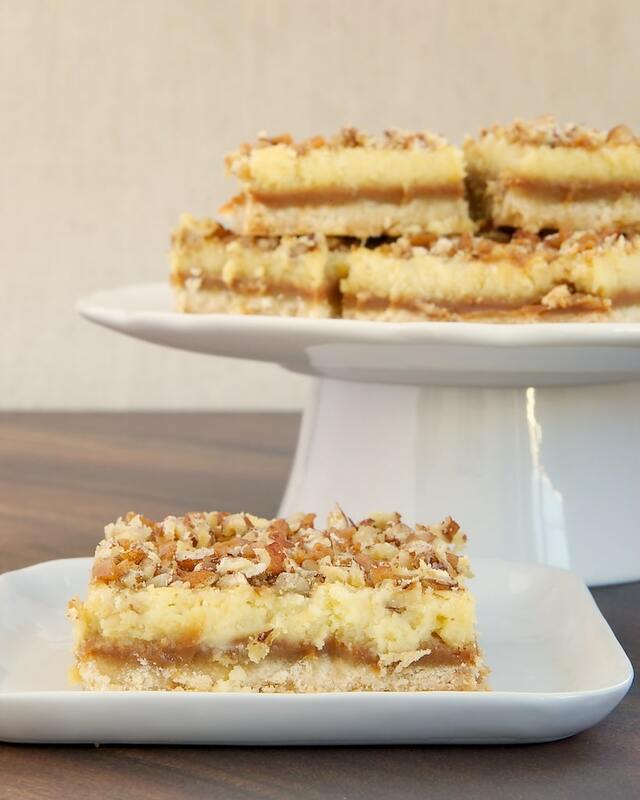 Caramel Cream Cheese Bars are all about the layers. A shortbread crust, gooey caramel, and sweet cheesecake all combine for a dessert that’s sure to become a favorite! I’m a big, big fan of Nutella. Add that to cheesecake, and I’m so there. 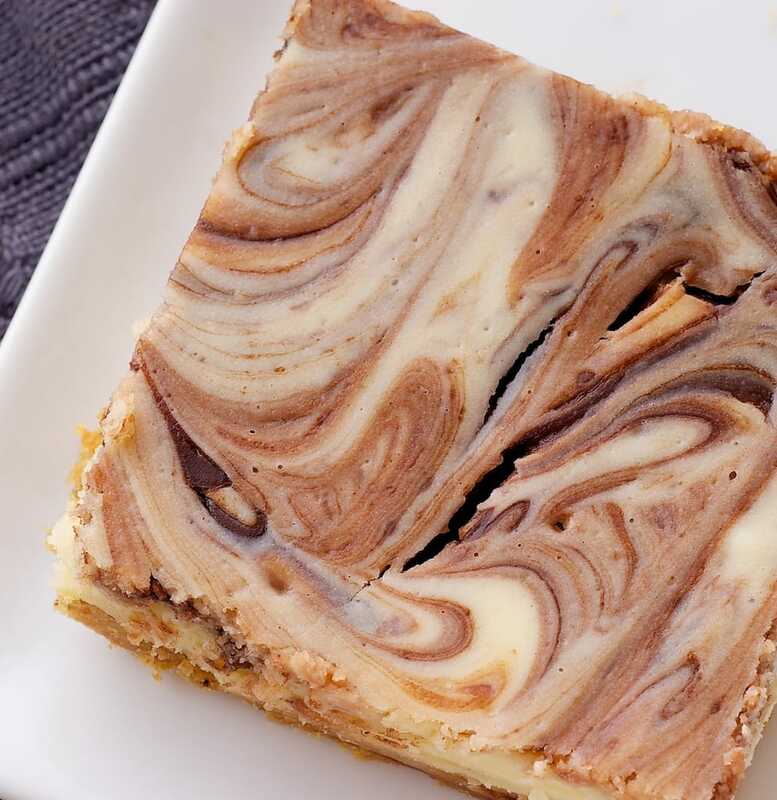 These Nutella Swirl Cheesecake Bars are so, so good. And they’re so pretty, too! Lemon and cheesecake have long been great companions, and that is certainly evident with these Lemon Pistachio Cheesecake Bars. The addition of pistachios adds a welcome crunch and a little extra flavor. 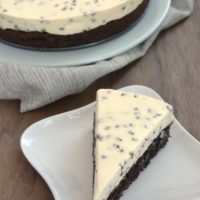 Everyone loves cookies and cream treats, right? 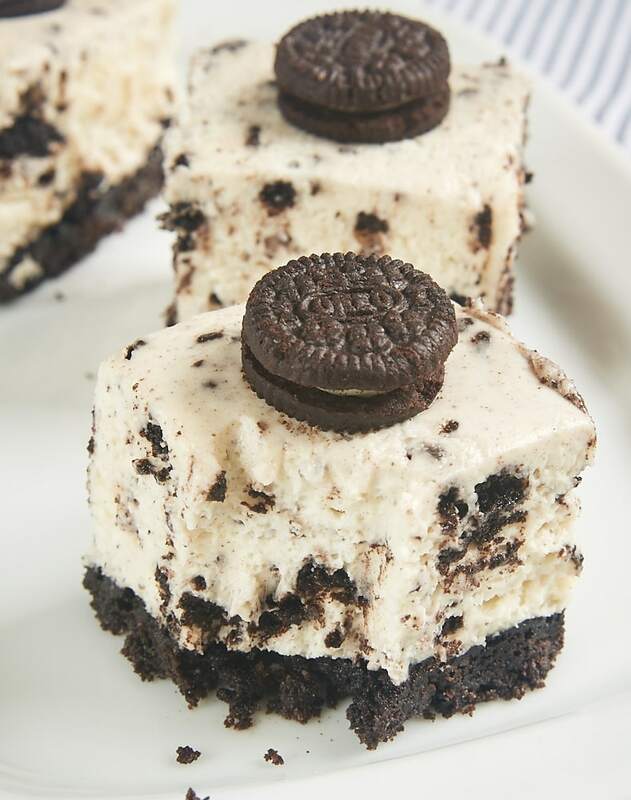 Cookies and Cream Cheesecake Bars feature an Oreo crust, plenty of those cookies in the no-bake filling, plus some little ones on top to make them extra eye-catching. A crowd-pleaser for sure! Fresh cranberries have a pretty narrow window of availability, but these Cranberry Crumble Cheesecake Bars are made with dried cranberries. That makes them a year-round treat! 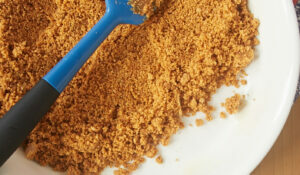 The crust mixture also doubles as a crumb topping to surround that sweet, cranberry-studded cheesecake filling. 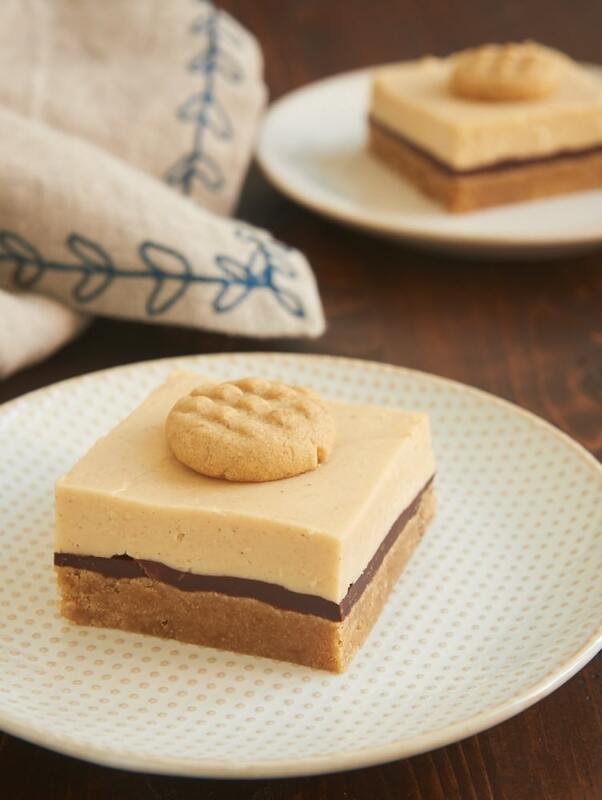 Peanut Butter Cheesecake Bars are a peanut butter lovers’ dream. The crust is one big peanut butter cookie, and the no-bake cheesecake filling has plenty of peanut butter, too. 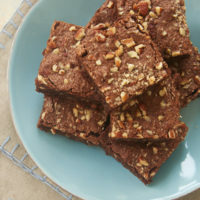 I can’t resist a little layer of chocolate in there, too. And if you’re so inclined to take the extra time, those tiny peanut butter cookies on top are just adorable! The combination of cheesecake and dulce de leche is really just brilliant. 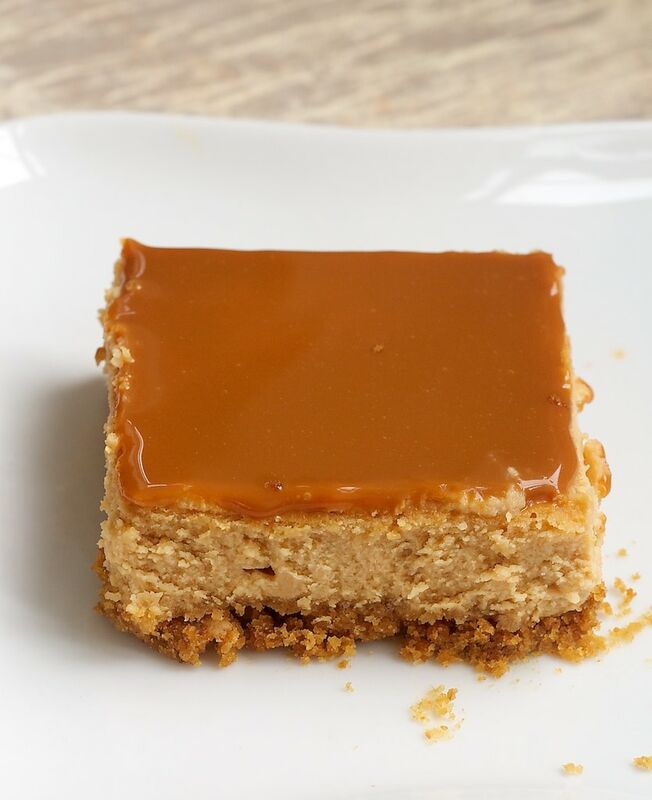 These Dulce de Leche Cheesecake Bars are a long-time favorite. They’re a bit gooey and messy, but they’re so good you won’t mind a bit. 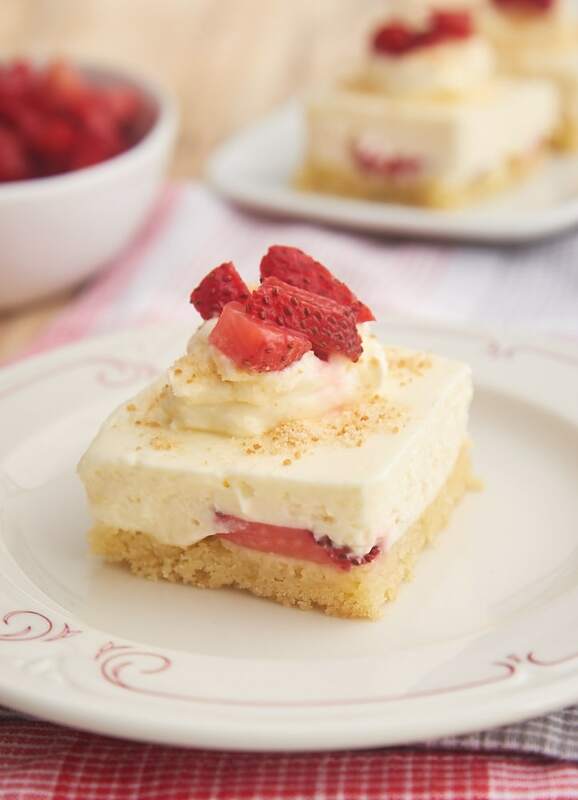 Strawberry Shortcake Cheesecake Bars are a little of the beaten path of cheesecake bars. The bottom layer is a thin pound cake topped with fresh strawberries. That’s topped with a simple no-bake cheesecake with a hint of lemon. Top with sweetened whipped cream and more strawberries for a delightful (and pretty!) treat.